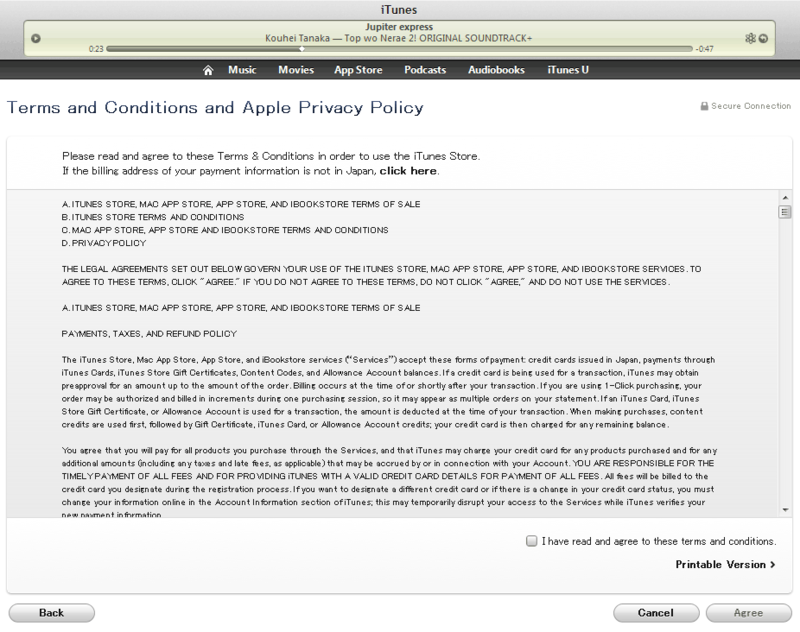 I bought another 10,000 yen iTunes card last month. Their $12 markup is reasonable. I placed my order at 4:00am and received my iTunes code at 10:00pm. You can buy about 3-5 albums with that. 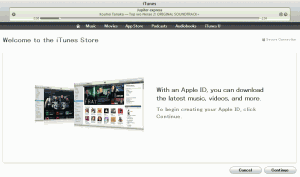 First open iTunes, scroll down and click the U.S. icon on the bottom right corner. On the next page, select Japan from the list of countries. 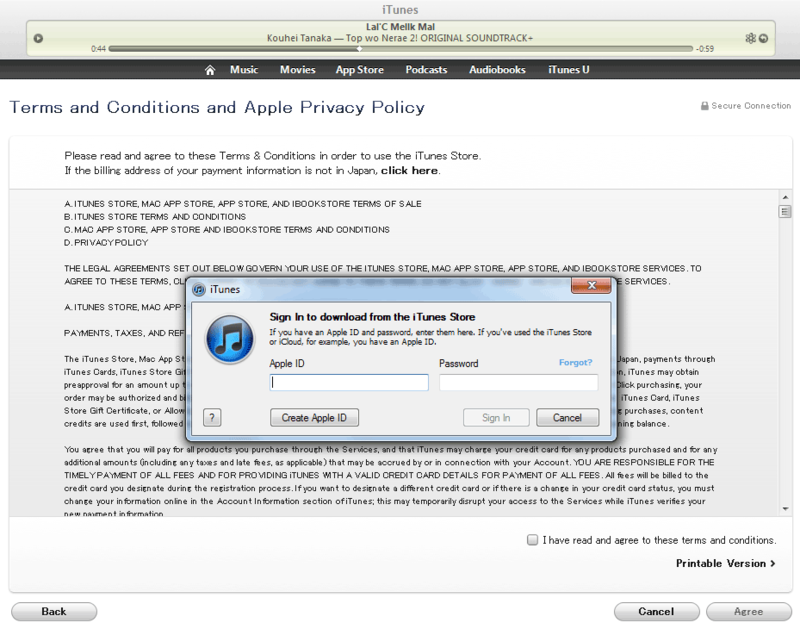 Next, click the “Sign In” button in the upper right corner of iTunes. 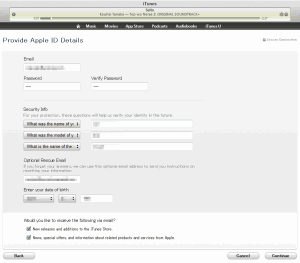 Next, you see a popup with the option to create an Apple id–click the button. 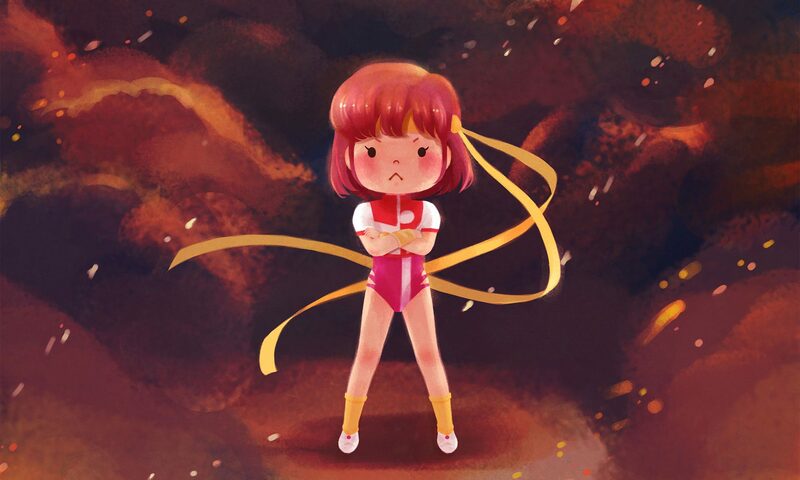 The next page welcomes you to the iTunes store, click the continue button. 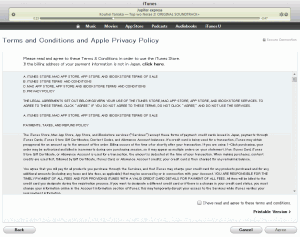 The next page requires you to check the agreement box and click the “Agree” button. Next, you’ll complete your billing information and address. 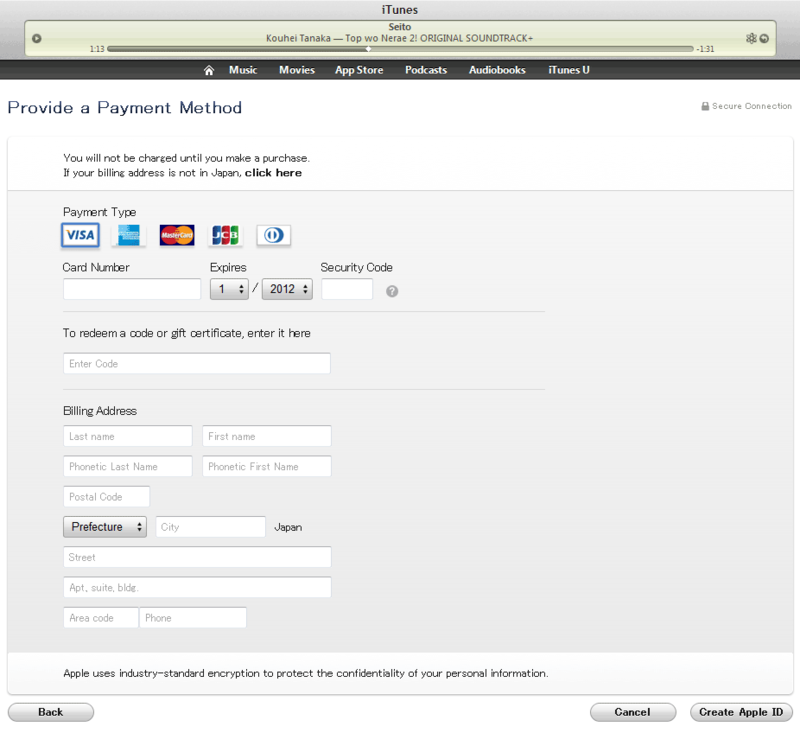 If you are redeeming a Japanese iTunes card enter the code and leave the credit card info blank. Enter your Japanese address too–JBOX will tell you how to complete that. 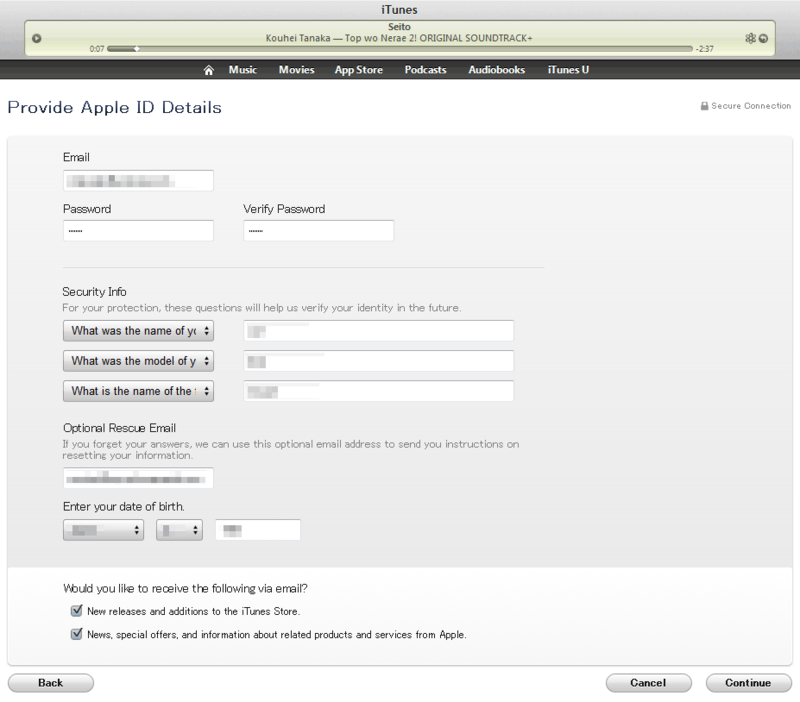 Click the “Create Apple ID” button and you’re done. 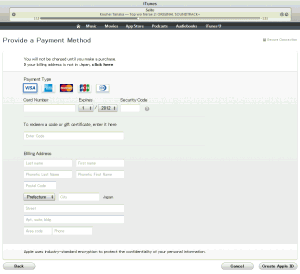 By the way, a U.S. credit card will not work.